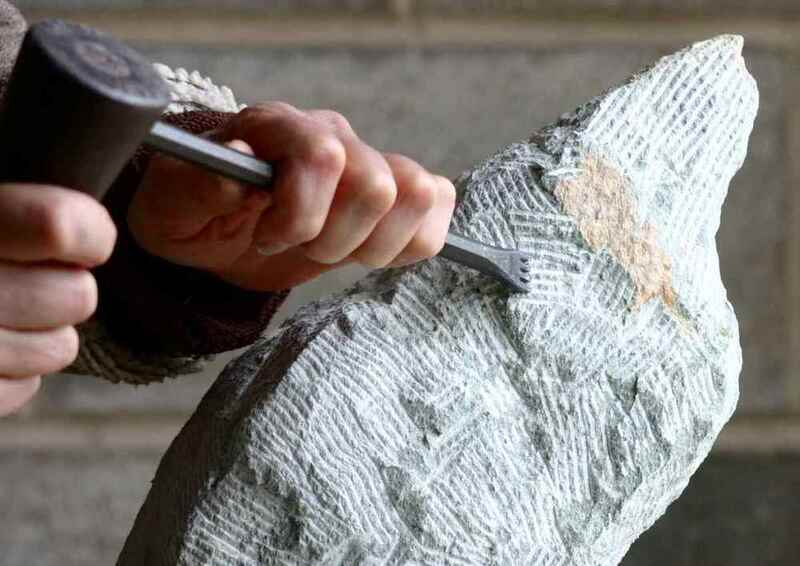 The long process of sculpting stone. Aikido doesn't care about your timeline. It doesn't care how fast you want to learn. It doesn't care that you're a perfectionist. It doesn't care about instant gratification. Each day in the dojo is like approaching a block of stone with a mallet and chisel. Each day in the dojo is like getting to strike that chisel one time. One swing, one strike, per visit. With the swing a little flake of stone will break free from the block. Nothing profound happens. Nothing beautiful emerges. A small chip falls away, that is all. Over time, the block will stop looking like a block. Over even more time, a rough but intentional shape will emerge. Put in more time still and the shape will refine itself and start to vaguely look like something else. The hard edges will soften. A recognizable form will appear. Some people will be content with this rough form and stop there. For those that continue to come to the dojo, there will be opportunity to take a smaller chisel and lighter hammer, and still making just a single strike each day, knocking even smaller flecks from the rough-hewn stone. This will go on a long time. Some flecks, when removed won't look like they make any difference in the block of stone. Sometimes you will make many, many such chips and your stone will look pretty much the same. Some people will become frustrated or impatient or bored and stop there. For those that continue to come to the dojo, there will be opportunity to take an even smaller chisel still and with an even lighter hammer to remove an even tinier fleck. It will take more and more such flecks - and so more and more such visits to the dojo - to make any noticeable change to the stone. Yet for those who remember when the stone was a block, even these subtle improvements will be significant. This is the nature of training. Every day is a single swing that takes a single chip from your block of stone. No matter how fast you want to sculpt the stone, you only remove one chip per day. With commitment and patience the block becomes a sculpture and the realization of something strong, steadfast and beautiful that will impact those who see it and will ultimately reach beyond and outlive the sculptor him/herself. Every day is an opportunity to pick up a mallet and chisel. Once that day is gone, it is gone. There will be more day, yes, but there will never be as many days ahead as there are today.